Home / News / Politics / The COMELEC didn’t approve of the 25% shading yet Senator Bam Aquino stands for it? 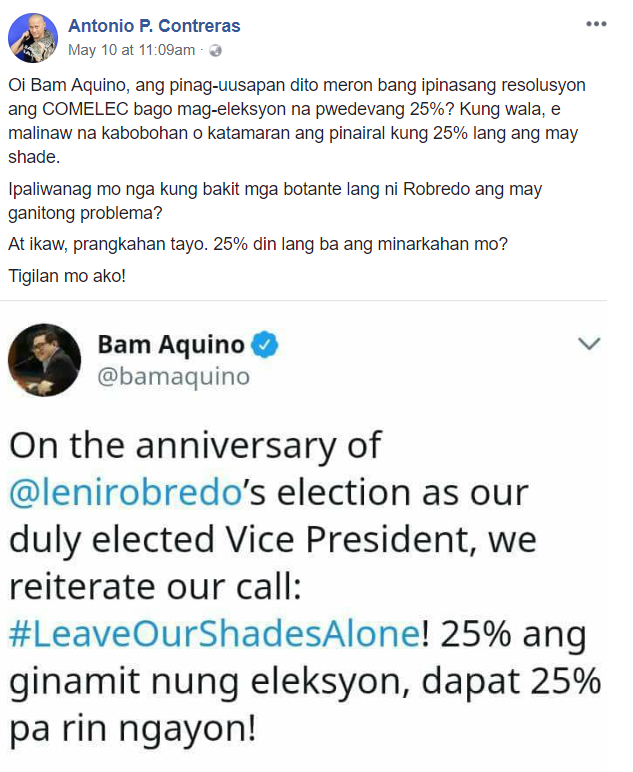 The COMELEC didn’t approve of the 25% shading yet Senator Bam Aquino stands for it? 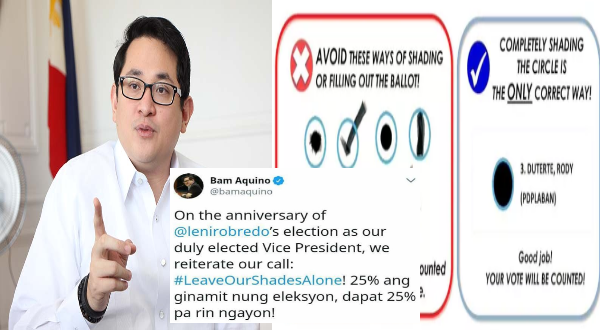 Political analyst Antonio P. Contreras posted a reaction on Facebook on Senator Bam Aquino’s defense against the defacing of vote that are shaded by only 25% percent during the 2016 Elections. Contreras argues that there was no resolution that was made by the Commission on Elections (COMELEC) to actually consider it. 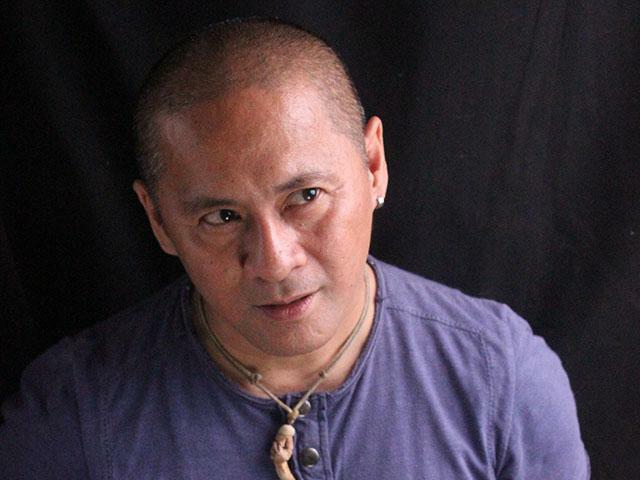 The minimum threshold on shading was 50% based on the COMELEC’s ruling, which so far has been reiterated by the Supreme Court that is acting as the Presidential Electoral Tribunal (PET). Yet somehow the Senator found the guts to stand against the law declaring that 25% shading was used in the elections so it should still be considered with the recent recount. The political analyst found this preposterous in all perspectives. It was either stupidity or laziness that can urge a voter to shade 25% of such a small voting oval. So much for the self-righteous senator, it would be pure hypocrisy to state that he didn’t. Well played Contreras, well played indeed.